Most of you probably have no idea who the heck I am, so I will start out with a little introductory. I am Amanda, and I sporadically blog over at The Craft Junky and I also have a tiny etsy shop of the same name. When I am crafting, I LOVE for my projects to tell a story. Whether it’s a book or a fairytale, a simple quote, tag lines from a favorite show or movie, or just silly things that pop into my head. It is what makes me love making handmade things. I used to mainly accomplish this by adding embroidery to my projects. 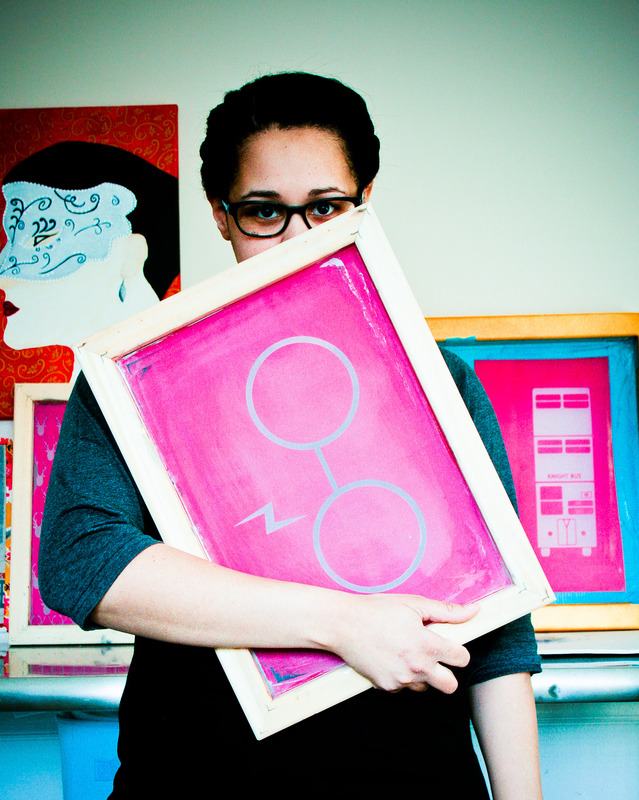 But last year, I decided to take the plunge into the addicting world of screen printing, and I fell in love. 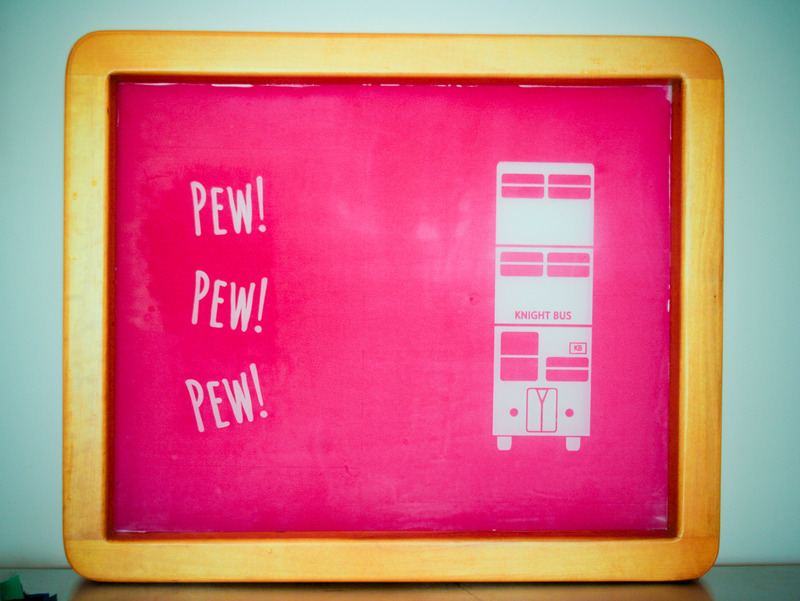 Screen printing is such a great way to add your own personal touch to what you are making. You can add your kid’s art work to bags, or make your own quilt labels. 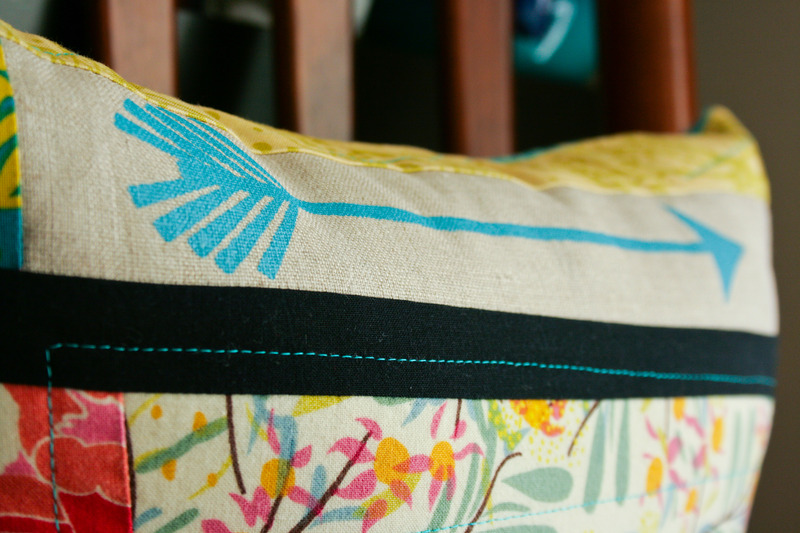 Or even print your own fabric! 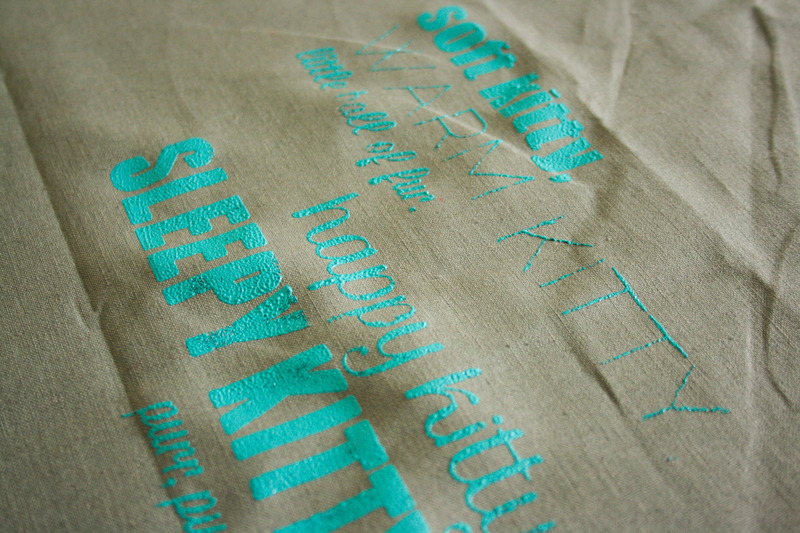 And you aren’t only limited to fabric, you can screen print on paper also. So many good things to be done!! So I got to thinking that this might be a handy skill to pass on, so I asked Chris what she thought about me giving a little lesson while we are at Stash Bash to those that were interested. So here’s the plan. If you want to learn this handy dandy little skill great! I am going to demonstrate the emulsion method that I do at home. 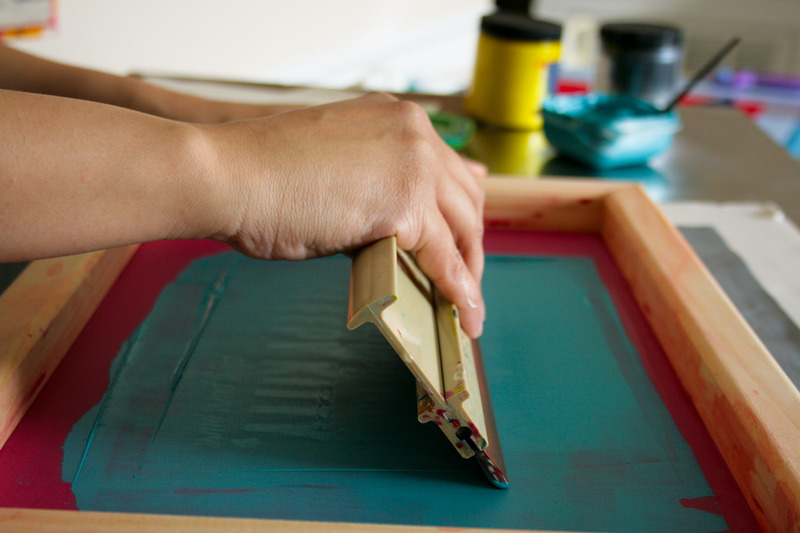 But because of time restraints and the need of complete darkness for developing the emulsion, the hands-on screen printing that we will do will be a simpler, more lesson-friendly version. But I will be sure that you have all of the info that you need to tackle both techniques at home. Still with me? Good, ok, here is what you will need to bring with you, or, if you are flying in or you cannot find the materials locally, just let me know and you can always paypal me and I will pick up the supplies for you and bring them with me since I am driving. So the first and most important thing you will need, is a screen. 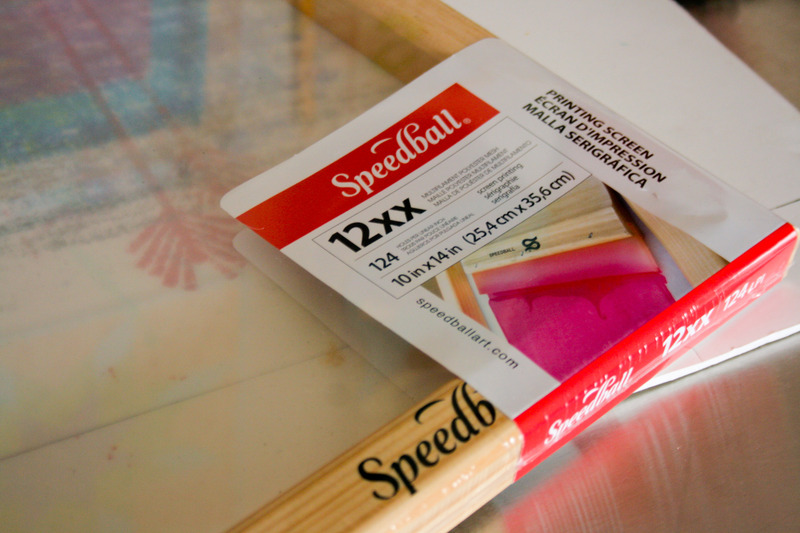 I usually buy the Speedball brand and you can find these at Michaels arts and crafts supply stores usually somewhere by the canvases and paints. *Bonus Tip* If you by the screen at Michaels, you can use one of their coupons!!! Yay for discounts! The next most important tool that you will want to get is a squeegee. This is used for passing the ink over and through the screen and you can find these right next to the screens. While you are there, if you wanted to pick up some ink, go right ahead! I will be bringing all of my inks with me, so it is not a necessity. 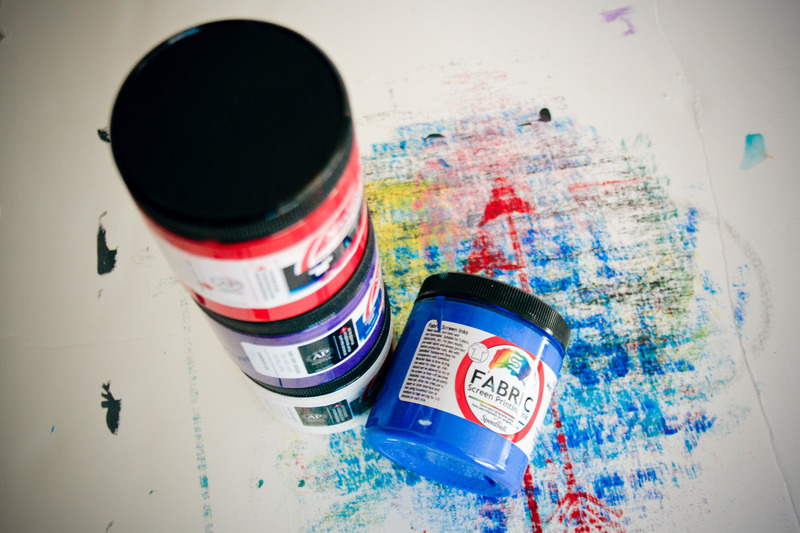 If you do decide to buy some ink, make sure you by the ink that is for printing on fabric. 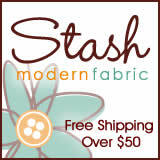 Also, you will want to bring a fat quarter or more of some fabric that you would like to print on. My friend Christina made up a super cute image for us all to print. I will be bringing ALL of my screens for anyone who wants to see what screen printing with an emulsion exposed screen is like. Ok, I think that covers it. If you have any questions let me know via email amandahall25 at gmail dot com. Or if I think of anything else that you will need or that I forgot to tell you, I will put up another post here and in the google group. Sound good? 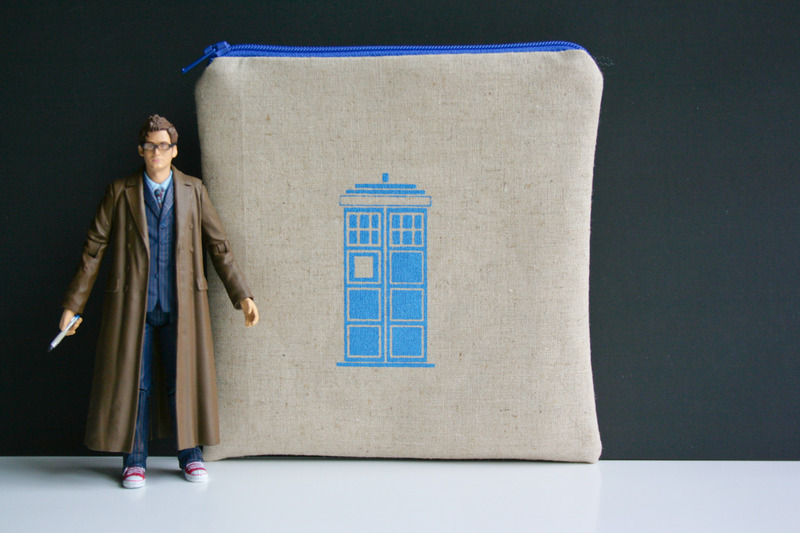 This entry was posted in Uncategorized on March 15, 2013 by thecraftjunky. This looks so awesome! Not sure if I’ll have supplies with me, but would love to learn more about this!